To book your Initial Screening Assessment or a place in one of our other classes please call (03) 9882 2020. Whether returning from injury, wishing to prevent injury or improve form, posture and core strength, Pilates can help. Life is tough on our bodies. We grow more and more imbalanced in the course of daily living. We carry our bags on one shoulder and our children on one hip. We might be sitting in front of a computer all day, and if we get up to exercise, we might be swinging a golf club or tennis racquet on one side or a poor posture takes a turn for the worse, when we go out for a run. Exercise rehab is a corrective system of exercise where you will gain strength in a balanced way so that tight, tense areas are released and weak areas strengthened. Who can benefit from Exercise Rehab? A wide range of people can benefit – young, older, injured, uninjured and regardless of fitness level. All exercises are individually tailored to each person, ensuring safety and benefits for people of all physical capabilities. How long will I have to do exercise rehab for before I see results? Results depend on your particular injury, but as a general rule most people who participate in Exercise rehab 1-2 times a week will see significant improvements after 10-12 weeks. We take a range of measures to test you strength, flexibility and movement control before you start so that your program can be tailored to your needs. These measures are reviewed over time to ensure you are continuing to improve and benefit, and to further tailor your program. Conducted by our physiotherapist who have high levels of expertise aimed at injury prevention and rehabilitation. Designed to help clients recover from injury or manage chronic musculoskeletal problems. Group classes are conducted with one instructor to a maximum of 3 clients and is claimable with your private health insurance. 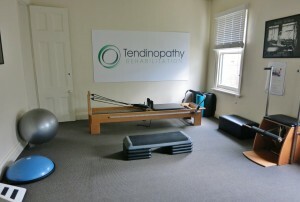 Book with Physiotherapists David Thwaites, Mark Merolli or Zuzana Machotka. Aimed at general fitness and injury prevention. Develops muscle tone, postural alignment, flexibility and core strength, using a variety of equipment as well as mat exercises. Group classes are conducted with one instructor to a maximum of 6 clients and is not claimable with private health insurance. All sessions are 50mins in length.